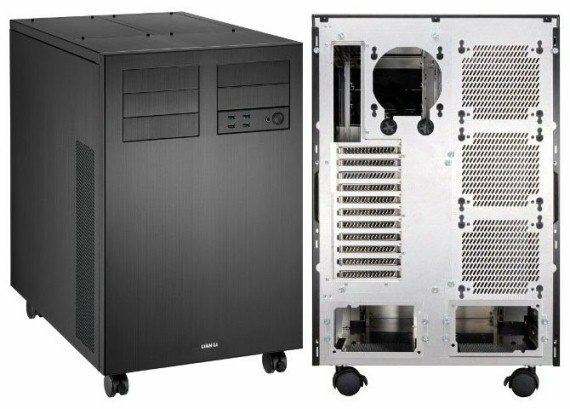 Lian Li just recently released their latest massive brushed 100% aluminum HPTX supported chassis, the Lian Li PC-D8000. 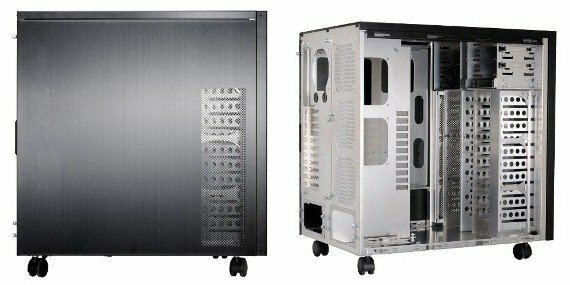 This massive chassis is able to accommodate 20 3.5″ hard drives, two PSU and even the largest motherboard form factors available. It’s like two regular mid-tower chassis put together. The Lian Li PC-D8000 has lots of space to fit all the essential hardware and components that every PC enthusiast wants. 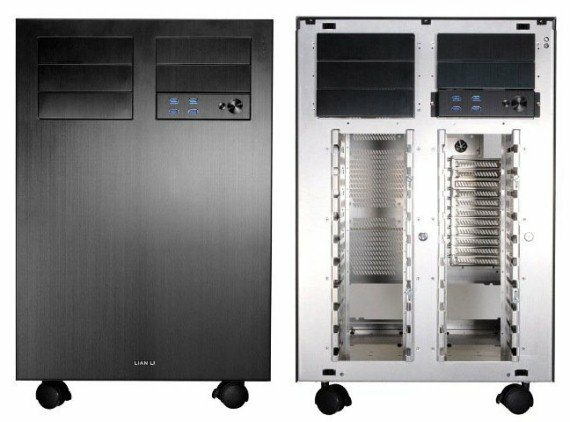 The Lian Li PC-D8000 measures 405mm (width) x 628mm (height) x 572mm (dimension), and is ideal for server-type set ups. Despite its size, this massive chassis offers tool-less features. 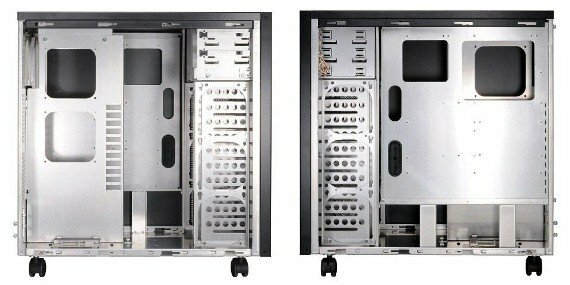 The front panel can easily be remove to access the 20 3.5″ HDD cage. 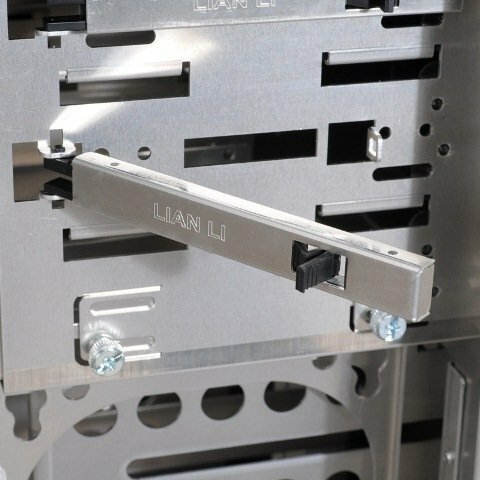 A thumbscrew and rubber suspension is provided for each drive for easy installation. 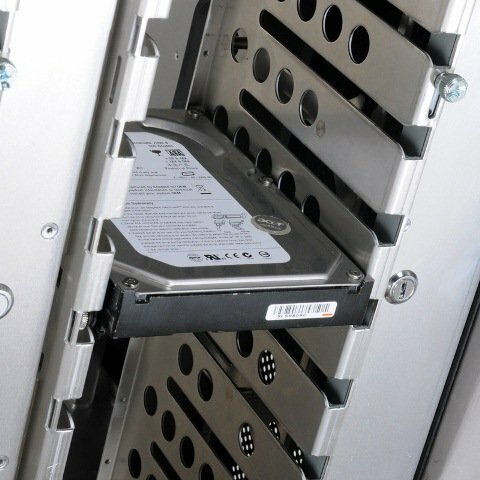 There is a lock for the 3.5″ hard drive cage offering extra security for the HDDs. The hard drives, including the whole system, can be cooled by up to six 140mm front intake fans. There are also six 5.25″ slots, but the other 1 is reserve for the front I/O ports. The remaining five 5.25 bays can be used for optical drives or for HDDs and/or SDDs. The front panel I/O ports features four USB3.0 ports/HD Audio, a reset button and power button. 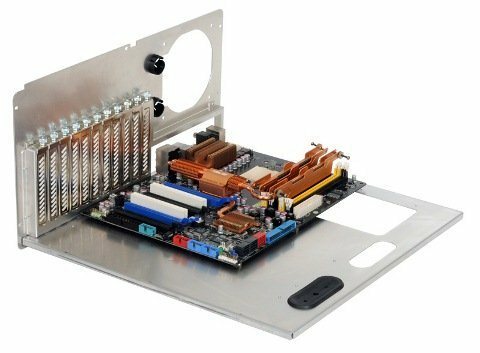 Like most of Lian Li’s chassis, the motherboard tray of the PC-D8000 can easily be slide out making it easier for users to install/uninstall a hardware. It supports different sizes of motherboards like Micro-ATX, ATX, EATX, and HPTX. The tray has large holes for easy CPU installation. The motherboard tray has eleven (11) expansion slots all with thumb screws. It has an exhaust hole for a 120mm fan and two tube holes for water cooling. Builders can also install a radiator for water cooling at the back of the Lian Li PC-D8000. Three 140mm fans can be installed for additional exhaust or for cooling the radiator. 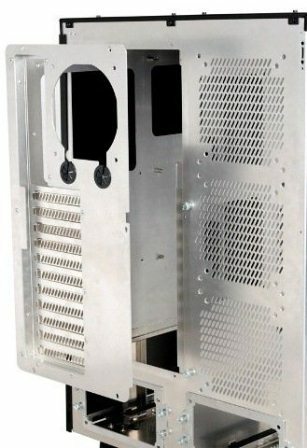 Inside the Lian Li PC-D8000, it can support two PSU (power supply), install graphics card with up to 410mm in length and CPU coolers of up to 160mm can easily fit inside the PC-D8000. For mobility, the Lian LI PC-D8000 has four roller wheels so that no matter how heavy the whole system becomes, it can still be easily transported from one location to another. The Lian Li PC-D8000 has a MSRP of $349 and it is now available on online stores. You can check the availability and order one from Newegg here.